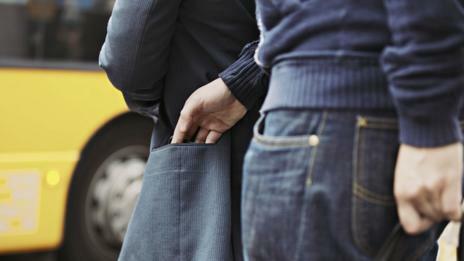 Pickpockets use much more than sleight of hand, says Caroline Williams, they hack your brain’s weaknesses. My mother has eyes in the back of her head. She also taught me from an early age to be suspicious of strange men, especially when they give you presents. Which makes it all the more surprising that a “nice man” bearing flowers managed to swipe 20 euros from her purse, while she was holding it in her hands and looking straight at it. But she needn’t feel bad. According to neuroscientists our brains come pretty much hard-wired to be tricked, thanks to the vagaries of our attention and perception systems. In fact, the key requirement for a successful pickpocket isn’t having nifty fingers, it’s having a working knowledge of the loopholes in our brains. Some are so good at it that researchers are working with them to get an insight into the way our minds work. The most important of these loopholes is the fact that our brains are not set up to multi-task. Most of the time that is a good thing – it allows us to filter out all but the most important features of the world around us. But neuroscientist Susana Martinez-Conde, the author of the book Sleights of Mind, says that a good trickster can use it against you. She should know: as a researcher at the Laboratory of Visual Neuroscience in Arizona, she has studied how Las Vegas stage pickpocket Apollo Robbins performs his tricks. So while sleight of hand helps, it’s as much about capturing all of somebody’s attention with other movements. Street pickpockets also use this effect to their advantage by manufacturing a situation that can’t help but overload your attention system. 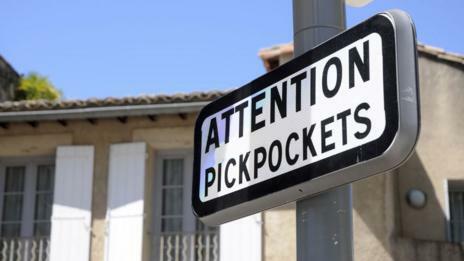 A classic trick is the ‘stall’, used by pickpocketing gangs all over the world. First, a ‘blocker’, walks in front of the victim (or ‘mark’) and suddenly stops so that the mark bumps into them. Another gang member will be close behind and will bump into both of them and then start a staged argument with the blocker. Amid the confusion one or both of them steal what they can and pass it to a third member of the gang, who quickly makes off with the loot. Other tactics are more psychological. Pickpockets tend to hang out near ‘beware of pickpockets’ signs, because the first thing people do when they read it is check they still have their valuables, helpfully giving away where they are. And in my mother’s case, the thief’s best trick was not coming across like a pickpocket. “He was a very nice guy and very personable. Not someone that would cause you to suspect,” she says. Brown thinks confidence plays a major role too. “The biggest ploys used by theatrical pickpockets and the kind of street pickpockets that will actually engage with you, is simply an incredibly alluring display of confidence,” he says. In theory, he adds, the power of suggestion alone is enough to persuade the most streetwise person to hand over their valuables. In 2009 a Russian bank employee gave over $80,000 of cash to a woman who apparently hypnotised her. “If you’ve got a bit of rapport with somebody and they trust you, it’s easy,” says Brown. On the stage, specific movements can also trick us. 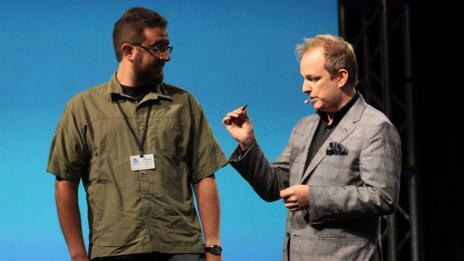 When Apollo Robbins started working with Martinez-Conde he told her that he had a hunch that certain ways he moved his hands seemed to affect how well he could direct a person’s attention. If Robbins moved his hand through the air in a straight line between two points, he said, it was less effective at holding people’s attention on the end point than moving his hand in an arc motion. An arc motion would make people’s gaze stick to the curving hand and stay there, while a straight line would make their eyes flick back to the beginning and jump between the two. Sure enough, eye tracking experiments showed that his hunch was right. But why? 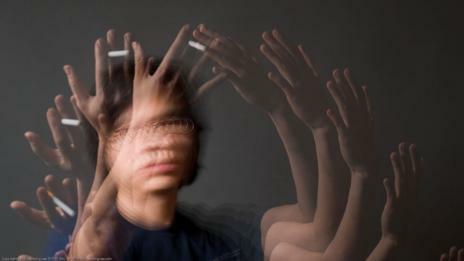 Martinez-Conde says that it is all down to the way different movements engage the visual system. Following an arc uses an eye movement called ‘smooth pursuit’, where the eye continuously follows an object. A straight line makes the eye move in a ‘saccade’, a fast movement where the eye moves from point A to point B in a fraction of a second. “When we make a saccade our visual system is blind during the flight of the saccade, so you can see at the beginning and you can see at the end but while the eye is moving you cannot see,” she says. During smooth pursuit, however, there is no blind period, the eyes follow the moving object continuously from start to finish. One explanation for why this makes us more likely to follow the hand, is that with a straight line, the eyes snap back to the beginning of the movement to try and fill in what the brain didn’t see during the movement. Whatever the explanation, it can be a very useful tool for a pickpocket. “Depending on what the pickpocket is interested in he may engage one or another type of motion, with or without engaging the person’s attention,” she says. Of course, if you want to play with someone’s powers of perception, a good time to try would be late at night when after a few drinks everything is already a little fuzzy. Brown says he spent a particularly fascinating night observing pickpockets outside nightclubs in London’s Trafalgar Square. But, he warns, they are opportunistic enough to keep up with new technology. In the not too distant future, hacking contactless debit cards could prove just as fruitful for thieves as hacking our minds. 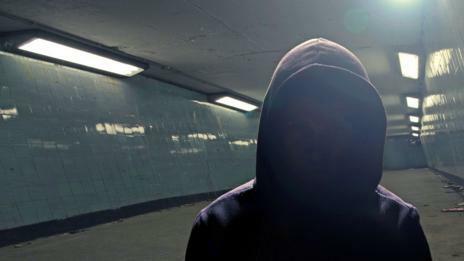 Still, knowing about all these tricks can make you a little less likely to have your valuables pilfered. At the very least, Brown says, it’s an idea not to zone out too much in public. “A street thief will avoid like the plague people who are demonstrating a very open awareness of their environment. The man on the tube who is looking around, being very aware, they won’t go anywhere near,” And as my mother would no doubt remind you, it’s also an idea to keep away from strangers with flowers.